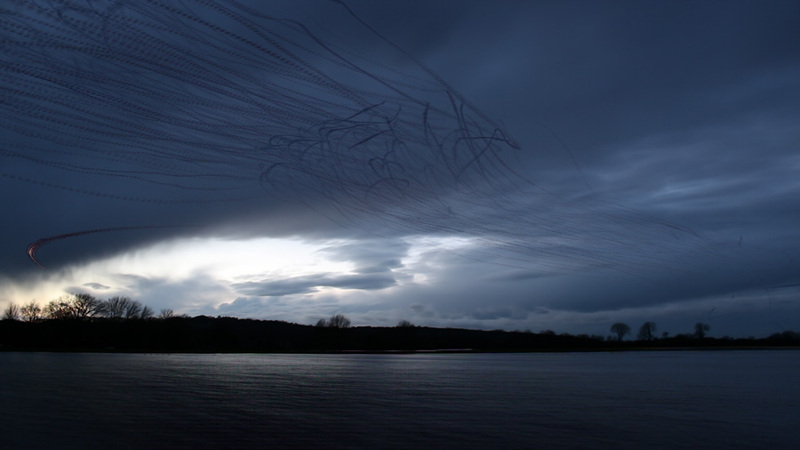 The charcoal lines are the traces of birds flying into Port Meadow, Oxford. In the 36 seconds represented in this image, the birds fly in from the left, climb, stall and swoop down forming the crest of a breaking wave. The curve on the left hand side is a transport plane from RAF Brize Norton. 24x14cm giclée print available here.